Well done to our travellers to Auckland at Easter time. 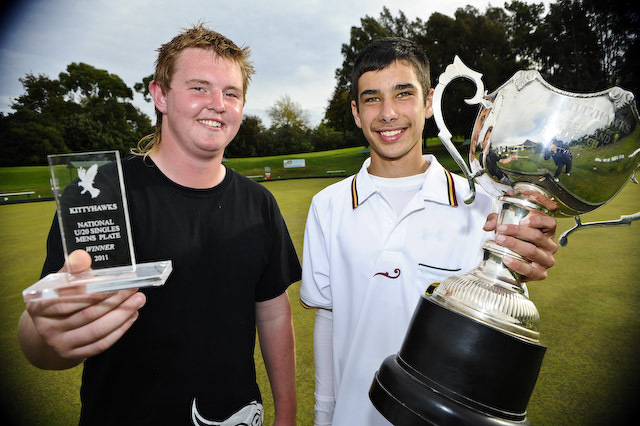 After some confusion whether or not he had qualified for the Main Event, Tim Toomey overcame disappointment to win the Plate Event at the National Kittyhawk Under 20 finals at the Pakuranga club, winning the Plate final 11-8, 10-6 over Bevan Beckham (Counties-Manukau). Tim is seen here with the Main Event surprise winner Sheldon Bagrie-Howley (Southland). 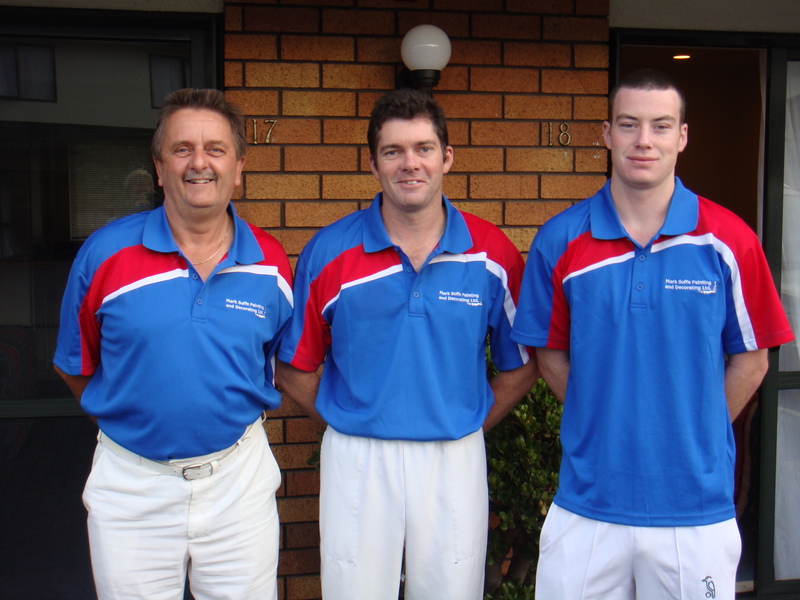 And across town at the Onehunga club, Richard Corry and Raymond Martin playing with Rob Ashton (Johnsonville) also came within a draw of qualifying for the Main Event playoffs, but battled back to win the Plate final of the $20,000 Onehunga Invitation Triples beating Jim, Shaun and Terry Scott (Dunedin) 16-10.